Strong, earthy, sulphury – words you might not want to describe the food you’re eating. That’s spirulina. After all, it’s an algae. But whatever it lacks for in taste, it makes up for in nutrition. Despite its pungent smell and borderline nasty taste, spirulina is considered the best among the supplements available today. In fact, it gives the most nutrition per acre among all other foods in the world. 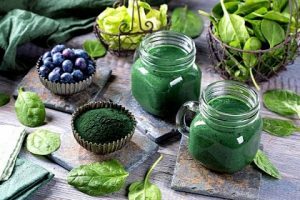 Even the United Nations and World Health Organization have recognized spirulina health benefits and nutritional value and have claimed it to be an ideal food and dietary supplement. But how did we start eating this blue-green alga? Is there an ideal spirulina dosage? How does our body benefit from it? 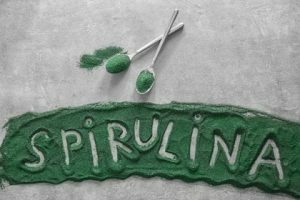 What are other spirulina uses? Read on. Spirulina, from Arthrospira platensis and Arthrospira maxima species, is believed to have existed for the last 3.5 billion years. It is one of the oldest life forms that can grow in many places around the globe, thriving in various conditions too harsh for other plants and animals to survive. Examples of habitats with significantly dense spirulina population include the Pacific Ocean near Hawaii and Japan, Lake Chad in Africa, Klamath Lake of North America, Lake Titikaka in South America, and Lake Texcoco in Mexico. It has therefore been used as a food source in those regions for centuries. Today, it is consumed in over 77 countries and produced in 22. Because of its ease of production, spirulina uses go beyond being a source of food for humans. It has also been used in the cosmetic industry, as a food additive, animal feed for fish, cattle, and poultry, and is now being considered by numerous companies for possible pharmaceutical use. The term superfood gets thrown around a lot these days. With the popularity of processed foods, nutritional deficiencies and hidden hunger are common among people from both developing and advanced countries. That is one of the reasons why spirulina is becoming more popular. We can get a lot of nutrition from it with such little amount. Because of that, even NASA is incorporating it into astronaut meals that require food sources with the least bulk but most health benefits. Spirulina serves as a kick starter for individuals recovering from malnutrition and other diseases. Olympic athletes from countries like China and Cuba have been required to take the best spirulina supplements during training. It is also considered an ideal food for vulnerable groups like the elderly, pregnant women, and children. Spirulina is the best protein source among all vegetables. It has as much as 70% protein (depending on its quality) of dry weight, three times as much as the protein available in beef and ten times more than soybean. This translates into approximately 4 gms of protein per TBSP. If you have gallbladder problems or you’re struggling to find a protein source that won’t trigger any inflammation or allergy, then spirulina supplements should be your best friend. Though spirulina only has small amounts of fats, most of them are in the form of essential fatty acids. Ten grams of spirulina contains as much as 225 mg of linoleic and gamma-linolenic acid (GLA). GLA is an essential polyunsaturated fatty acid which is a precursor to the body’s prostaglandins, the master hormone which controls various bodily functions. Spirulina contains all the crucial minerals that we need like potassium, iron, magnesium, zinc, and selenium. It also has more than 100 trace elements beneficial for growth and development. Based on the vitamin profile of spirulina below, there’s nothing like it especially on the amount of vitamin A, K, and B12 that it can provide with such a small amount. Spirulina contains 25 times more beta carotene than carrots, 6 times more B12 than raw beef liver, 3 times more vitamin E than wheat germ. Enzymes are also found in spirulina. An example is superoxide dismutase (SOD), an enzyme that helps get rid of free radicals and slow down aging. SOD also boosts the body’s natural defense against oxidative stress by reducing cellular damage. For every 10 grams of spirulina, the SOD enzyme activity can range from 10,000 to 37,500 units. Spirulina is rich in phytonutrients like glycolipids, polysaccharides, pigments and other growth factors that contribute significantly to good health. Phycocyanin is the most important pigment in spirulina which constitutes about 14% of its entire weight. Although it can, technically, be classified under protein or minerals because of its iron and magnesium content, phycocyanin deserves to have its own merit due to its number of health benefits. It is believed to be a precursor to hemoglobin, which supports the development of red blood cells, boosts the immune system, and helps with the body’s natural detoxification. 1. Spirulina is a potent antioxidant and detoxifier. Chlorophyll, abundant in spirulina, is a known cleansing phytonutrient. It helps clear the blood from toxins and supports the function of all tissues and organs, most especially the kidneys and liver, our natural detoxification channels. Phycocyanin, on the other hand, scavenges free radicals, and decreases or inhibits mechanisms that contribute to toxicity and premature aging. The enzyme superoxide dismutase (SOD) present in spirulina also has the same detoxifying effect. Spirulina supplementation also serves as a protection for the activities of our built-in antioxidant enzymes which include glutathione peroxidase (GPX), selenium‐dependent glutathione peroxidase (GPX‐Se), and oxidized glutathione reductase (GR). In cases of iron-induced oxidative stress, spirulina increased glutathione levels. Heavy metal poisoning and contamination can be addressed by spirulina. Numerous experiments have tried to find out the specific extent to which spirulina can protect us from radiation. Spirulina has a positive effect on both innate and adaptive immune response. This is mainly due to the phycocyanin and polysaccharide content of the alga. Various animal and human experiments have proven that spirulina improves disease resistance. In cases where subjects are infected, spirulina has also caused macrophage immune cells to act and increase in number, thus enabling them to kill pathogens effectively. Other components of the immune system such as bone marrow stem cells, T-cells, and natural killer cells, also showed enhanced activity after spirulina supplementation. In some countries, spirulina is being considered by pharmaceutical companies as a potent wound-healing accelerator. Ointments, creams, and solutions are being infused by spirulina because of its perceived ability to expedite our body’s ability to heal itself. Stem cells are present in many tissues in our body including the brain, skin, muscle, adipose, and bone marrow. There are numerous studies claiming that stem cells can help experts understand and treat a wide range of diseases and injuries. Although there is still much to know about stem cell therapy, it is gaining popularity as treatment for leukemia, tissue grafts, and many more. Given the importance and potential of stem cells, spirulina has an important task of protecting it from inflammatory insult from lipopolysaccharide (LPS) and other potential agents. Spirulina supplementation also helps promote stem cell genesis. 4. Spirulina supports gut health. Second, it helps improve gut health by increasing beneficial intestinal flora. Studies have shown that animal subjects fed with spirulina have higher levels of Lactobacillus and Bifidus, two types of gut-protecting bacteria. These probiotics can help support gut motility and improve the composition of stool and gas. The abundance of good bacteria also helps inhibit the growth of candida and other harmful bacteria. Third, it improves the gut’s ability to absorb nutrients. Since spirulina helps increase the population of good bacteria in the GI tract, it indirectly helps in addressing leaky gut may cause malabsorption of vitamins and minerals. Spirulina is easily digested so it doesn’t subject the digestive system to fi=urther stress. 5. Spirulina may improve metabolism. Aside from supporting digestion and overall gastrointestinal health, spirulina also aids in metabolism. Some researchers even call it a metabolic activator since it increases the activity at the cellular level to burn up muco-forming substances. Excessive mucous in the body may affect the body’s regular function especially that of the digestive, respiratory, and lymphatic system. Spirulina and yeast are the only two protein supplements that are not mucoid-forming in the intestine. Spirulina is also a proven regulator of fats and carbohydrates. Various experiments have shown its ability to lower serum cholesterol, triglyceride, and LDL cholesterol. One of the possible mechanisms behind this is spirulina’s effect on lipoprotein metabolism. 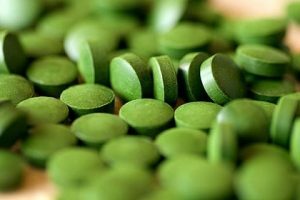 According to animal studies, spirulina supplements are able to suppress cholesterol levels in blood and liver of rats. This makes spirulina a crucial part of the diet of those with high cholesterol, mild hypertension, and hyperlipidemia. For individuals watching their weight, spirulina may also be an effective ally. Aside from lowering cholesterol levels, it also helps satisfy the appetite, thus reducing caloric intake and supporting weight maintenance. Studies on spirulina’s potency also prove its ability to lower high blood sugar. According to various experiments, spirulina supplementation lowered fasting blood glucose, glucose levels after meals, and reduced glycosylated hemoglobin (HbA-Ic) in type-2 diabetic patients. 6. Spirulina can help boost overall physical or athletic performance. If you are looking for a high intensity food that will match your level of training, then you’ve found your best workout buddy. Spirulina contains GLA which stimulates prostaglandins, which in turn regulate and boost every cell of the body. Since it is also an excellent protein source, spirulina is the perfect supplement for endurance training as it regenerates body tissues while giving the extra energy boost. In connection to spirulina’s ability to improve the body’s immunity, it also supports quick recovery and healing. 7. Spirulina has anti-allergy and anti-inflammatory properties. Spirulina is one of the many natural supplements being studied for its effect on allergies and inflammation. At the moment, it is believed to support the management of allergic rhinitis, asthma, arthritis, and other related conditions. Although the mechanism behind this claim is not yet clearly explained, it is largely attributed to spirulina’s antioxidant properties, among others. As an anti-inflammatory agent, the phycocyanin in spirulina slows down proinflammatory cytokine formation and suppresses the activations of nuclear factor‐κB (NF‐κB). 8. Spirulina has antimicrobial abilities. Spirulina helps increase macrophage function, antibody production, and infection-fighting T-cells. But aside from these immune-boosting properties, it is also said to act like a broad-spectrum vaccine against virus, bacteria, yeast, and fungi. Though this claim still needs more evidence, spirulina is currently on the spotlight as a potential treatment for various conditions including herpes simplex virus, influenza virus, measles virus, mumps virus, human cytomegalovirus and HIV. But why wait for the research? It already, clearly, has enough reasons for inclusion in anyone’s diet! There is no standard spirulina dosage. The amount and form (powder, capsule, or tablet) used in studies also varies greatly. Therefore, it’s a good thing that even high amounts of the supplement are considered safe (except if you have autoimmune disorders or a genetic disorder called PKU). 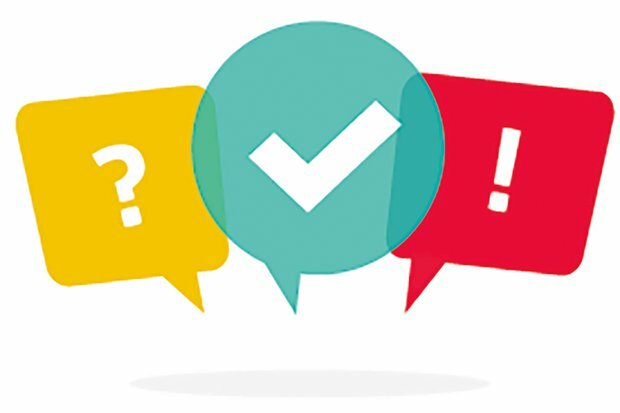 There is no exact amount recommended for those undergoing stem cell treatments. However, in studies with animal models, spirulina accounts for 0.1% of their total diet. Just like any other food, or supplement, different brands have different qualities. Not all spirulina supplements are created equal. Getting low quality supplements may cause digestive distress, worse, cheap spirulina supplements may be contaminated with bacteria, heavy metals, or other pollutants. As you search for the best spirulina supplement, you may want to try Vital Proteins Spirulina 650 mg 120 Capsules . It is rather difficult to find Spirulina in capsules. This one comes in 650mg capsules which are a bit on the large size for my taste. Nonetheless, it beats the usual 20 small tablets it takes to equal 250 gms. The equivalent would be 60 tablets to equal that one capsule! 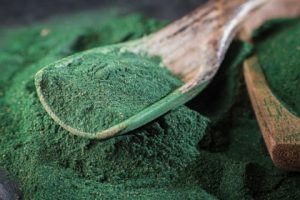 If you still prefer the tablets, you can choose to buy tablets and throw that handful into a blender as you make your smoothie or simply order spirulina in powdered form. Deng, R., & Chow, T. J. (2010). Hypolipidemic, antioxidant, and antiinflammatory activities of microalgae Spirulina. Cardiovascular therapeutics, 28(4), e33-e45. Henrikson, R. (1989). Earth food spirulina. Laguna Beach, CA: Ronore Enterprises, Inc, 187. Houston, M. (2002). The Potential Application of Spirulina (Arthrospira) as a Nutritional and Therapeutic Supplement in Health Management. Kamenidou, I., Aggelopoulos, S., & Batzios, A. C. (2011). Natural medical attributes and benefits of Spirulina: Segmentation based on consumers knowledge. Journal of Medicinal Plants Research, 5(14), 3192-3199. Khan, Z., Bhadouria, P., & Bisen, P. S. (2005). Nutritional and therapeutic potential of Spirulina. Current pharmaceutical biotechnology, 6(5), 373-379. Kim, S. K., Vo, T. S., & Ngo, D. H. (2011). Antiallergic benefit of marine algae in medicinal foods. In Advances in food and nutrition research (Vol. 64, pp. 267-275). Academic Press. McCarty, M. F. (2007). Clinical potential of Spirulina as a source of phycocyanobilin. Journal of medicinal food, 10(4), 566-570. Deborah Graefer received a degree in Traditional Chinese Medicine in 1994 and practiced acupuncture and herbology in Southern California for more than 20 years. Since 2001, with the inception of GallbladderAttack.com, she has been supporting people with gallbladder and post gallbladder removal problems.